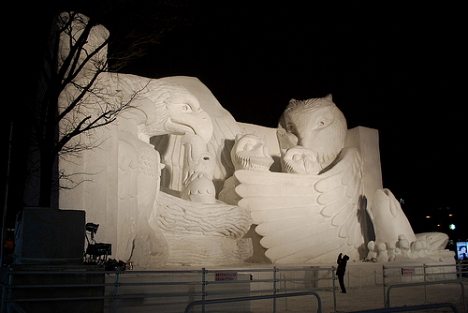 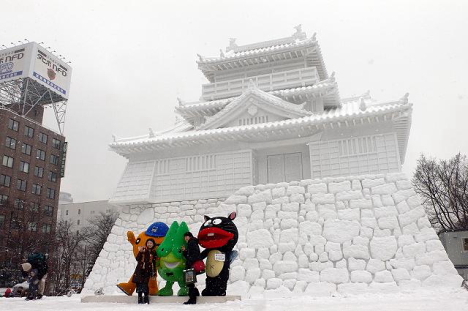 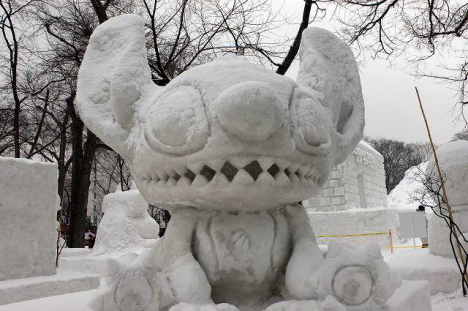 Here are some photos of giant snow sculptures from the 60th annual Sapporo Snow Festival, which runs until February 11. 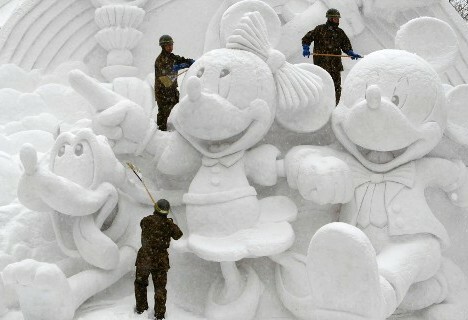 These are truly amazing. 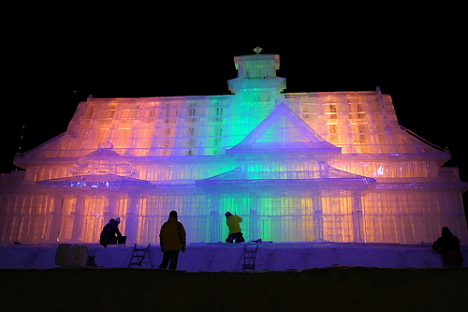 The first one, all lit up in different colors, is crazy awesome. 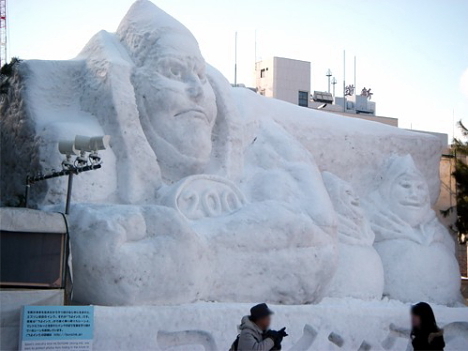 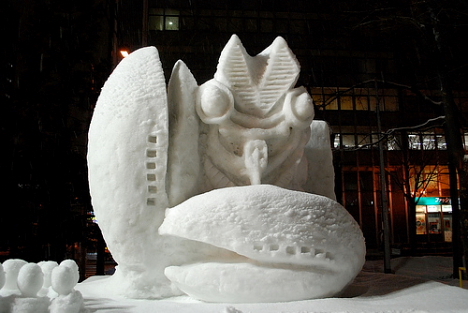 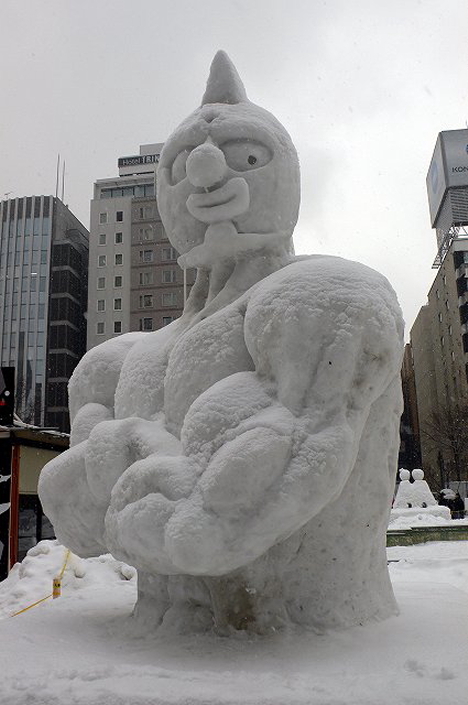 Strange and touching to see a sculpture of Namdaemun included in a Japanese snow sculpture collection. 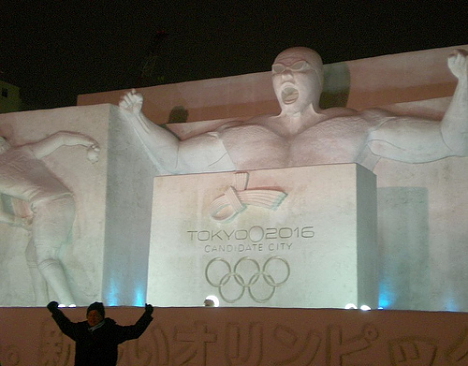 Maybe the old Japanese attitudes about Korea are softening? 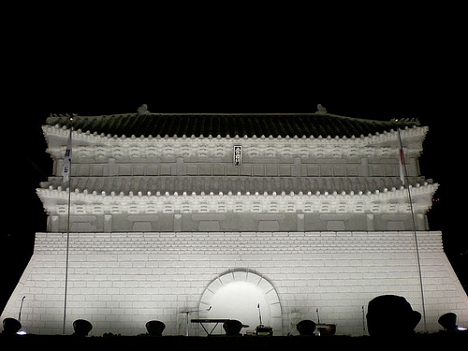 It is indeed touching to see a sculpture of Namdaemun in this collection. 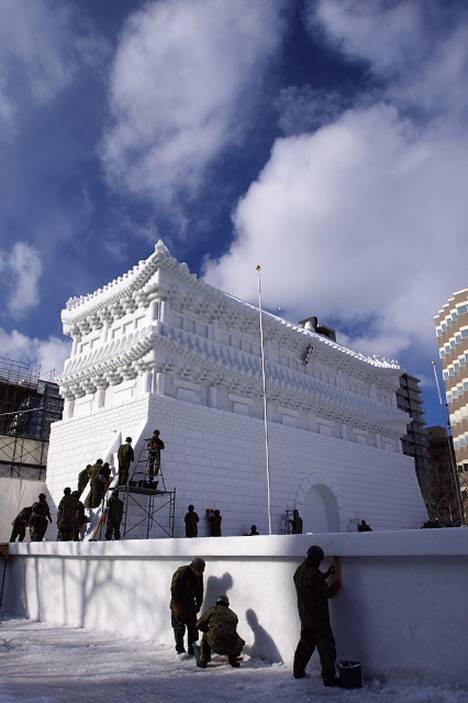 Hopefully we can hope for a less animosity between Japanese and Koreans in the future. 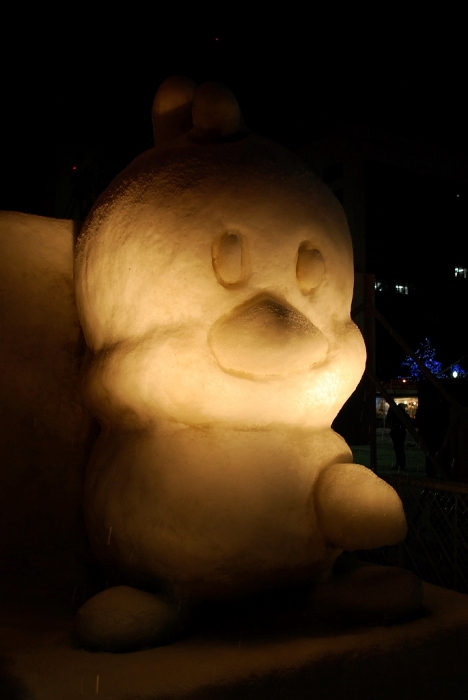 I went to the Snow Festival this year, it was all kinds of awesome. 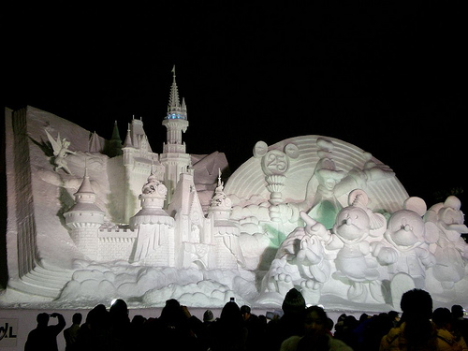 Sadly I was only there for a couple days, have to go back next year for the whole thing. 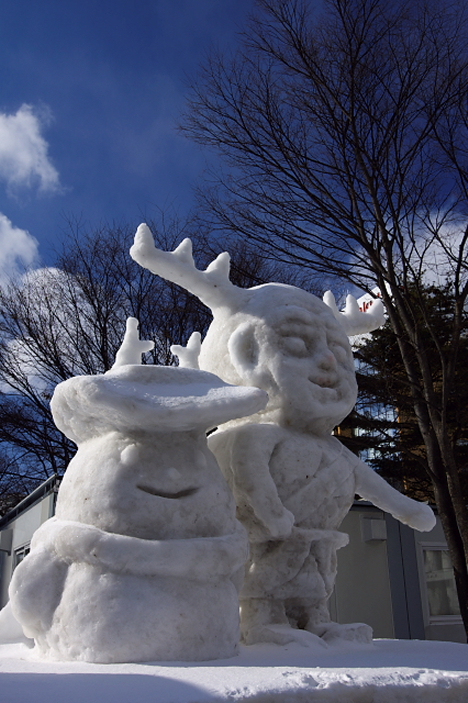 Sapporo is a beautiful place to visit. 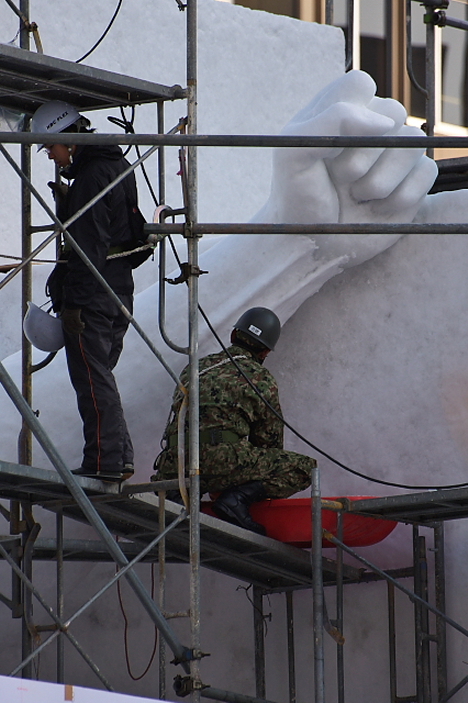 Milk Tongue » Namdaemun in ice!